I’m picky about what we feed the dogs after being horrified at what’s in most cheap dog foods. 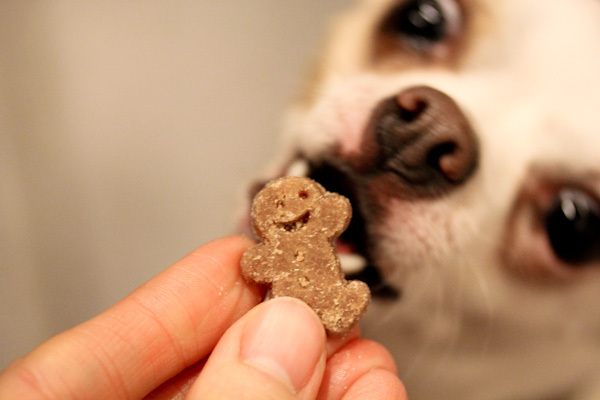 I’m always looking for healthy, vegan-friendly dog food and treats that won’t break our budget with three dogs now. Luckily they seem pretty happy with V-Dog food, but they also get a lot of treats. I’m just beginning to dabble in making healthy treats at home like these Hemp Seed Dog Treats, but keeping up with demand is not easy on my work schedule! I was thrilled to find these Peanut Butter Buddy Biscuits on Amazon. 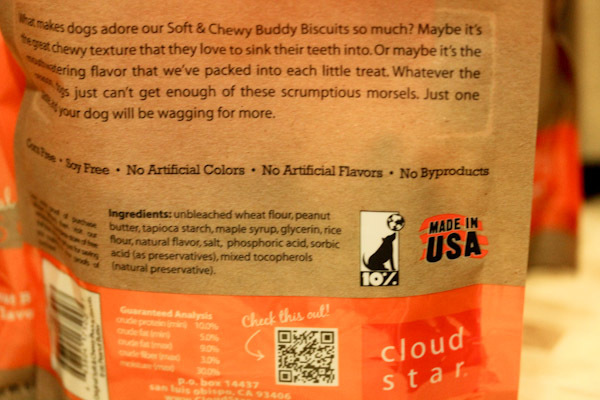 They have a pretty simple list of ingredients without byproducts and other gross stuff I can’t pronounce in the perfect tiny size and chewy texture for chihuahuas, especially my picky eater. All our dogs are fans of these, but Miko comes running fast when he hears the bag open! Usually I have no problem eating high raw on an average day, smoothies for breakfast, meal salads for lunch, and trying new recipes for dinner. 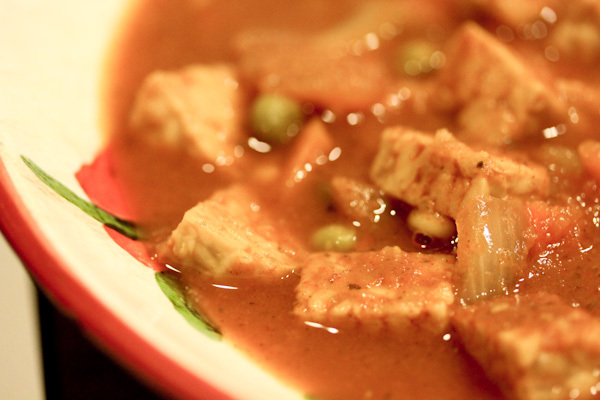 But during the chilly evenings of winter, I like a good whole foods vegan cooked dish too. And hearty soups and stews seem to be my go to, they’re easy, fast, and usually don’t require refined oils or precessed carbs. This week I created a simple soup base in the blender with a tangy and slightly kicky tomato flavor. 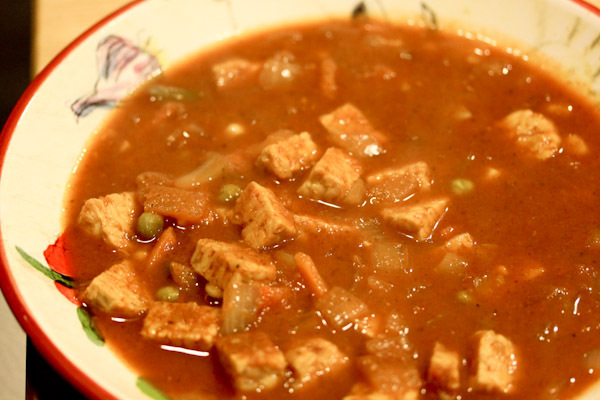 And it was perfect for a tempeh veggie stew. Place all ingredients into a blender and blend to a smooth liquid. Makes about 4 cups. 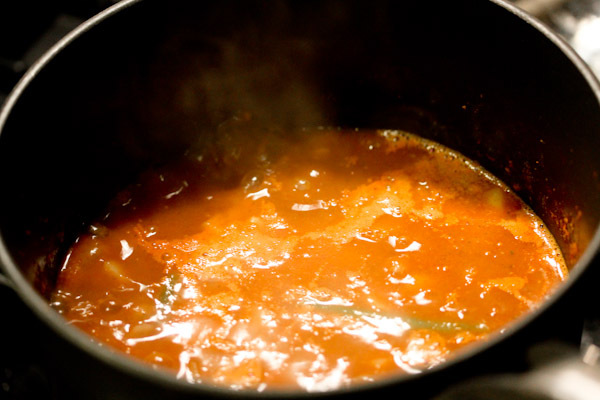 Simmer stove top in a medium soup pot and add ingredients of choice. I used a chopped 8 oz. package of tempeh, chopped onion, and a blend of organic frozen veggies. Simmering the tempeh and other ingredients stove top was fast, it was ready in about 15 minutes. I did not saute the onions ahead of time, I just chopped them raw and added into the simmering mixture and liked the slightly crunchy texture and flavor that added. I had a heaping serving for dinner. And it was delicious, the tempeh absorbed the slightly spicy tomato and garlic flavors, but maintained a firm and nutty texture for a heartiness that was very filling. The chili powder added a slight taco spiciness giving the soup flare. And it made great leftovers for lunch today. This is so perfect for the chilly weather lately! 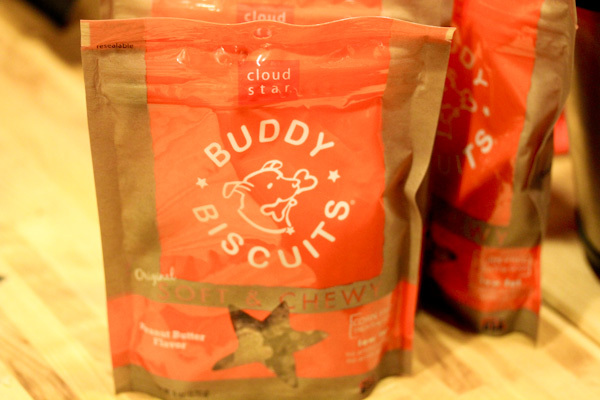 Great review on the product for the pups! That soup base sounds wonderful and versatile! YAY!